So the winner is the person who wrote the fourth comment on this entry. And that would be Michelle. Congrats Michelle! Your prize is coming. And if you didn’t win, don’t despair. We are now super close to having 50 comments on the blog. I’m thinking prize giveaway when we hit that number! The other night I was playing around on Pinterest and I happened to notice that my friend Stacey had pinned a lot of my recipes. Thanks Stacey! And then I noticed that one of the pins, for Chicken and Tomato Orzo, had been repinned by people who follow her. Twice! But I am Arizona Level. So having two thrilled me and inspired me to check all my posts and see what was going on. And I saw that Sweet and Spicy Cucumbers had been shared 21 times on Facebook, Guava Butter 24 times, and then there were a few miscellaneous shares here and there. Enough to equal more than 50 shares. Which means it’s time for our first official giveaway! If you would like a chance to win a package of goodies, leave a comment below. All comments received before midnight my time tomorrow night (have no clue what time zone I am, but know that I am three hours ahead of AZ and California, so your cut off is 9pm tomorrow night). 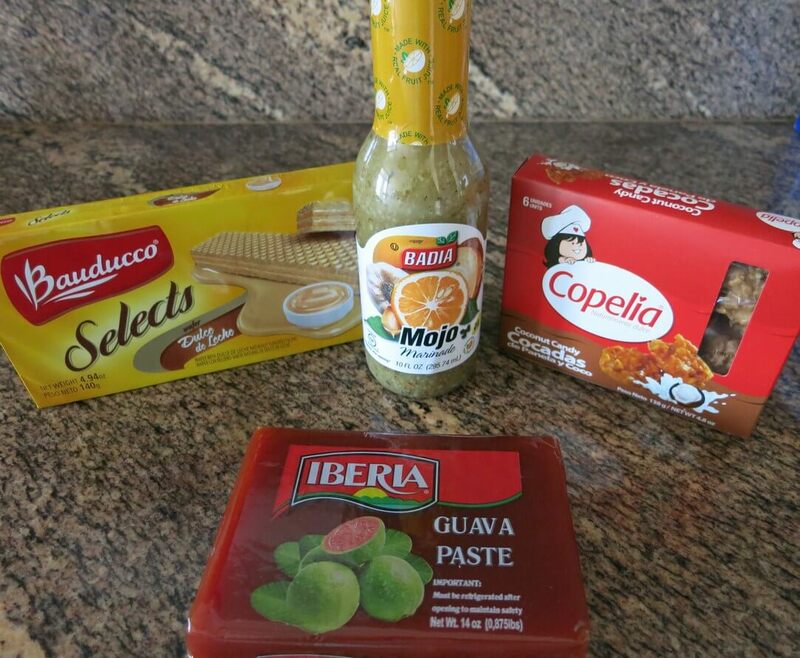 The package will have a few different items that represent Miami, including guava paste. 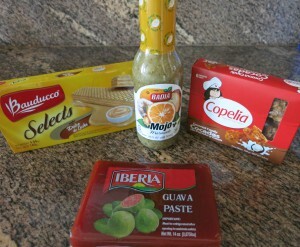 This way you can make your own guava butter, which I also mentioned in the first post about doing giveaways. I made some today and am mystified as to why I waited so long. It didn’t have the same thick texture that the butter from 660 at the Angler had, but it tasted equally of butter and guava, and is delicious. I did realize after, though, that if I had made it in the blender instead of the Kitchen Aid, it might have had the thicker, whipped texture, like the one from 660. I will try that next time. Or if you try it let me know. Stay tuned for more giveaways, as we hit new milestones! 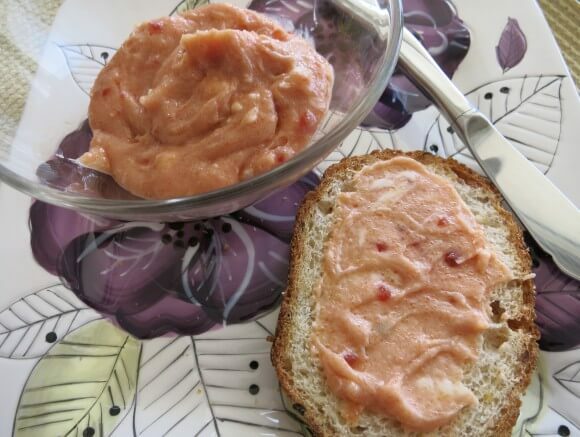 Place guava paste and lemon juice in small saucepan. Heat over medium heat, constantly stirring, until the paste has been melted down to a thick syrupy consistency. Place butter and guava paste mixture in your mixer. Whip together until blended. 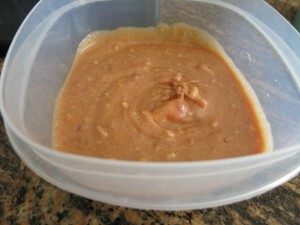 Then place in a Tupperware container and place in fridge to help resolidify.